After what seemed like a winter that would never end, spring is finally here in Melbourne (well this week at least) and whilst everyone momentarily packs away their coats and hit the shops for the sunscreen – the markets are coming alive with fresh summer fruits from the north. 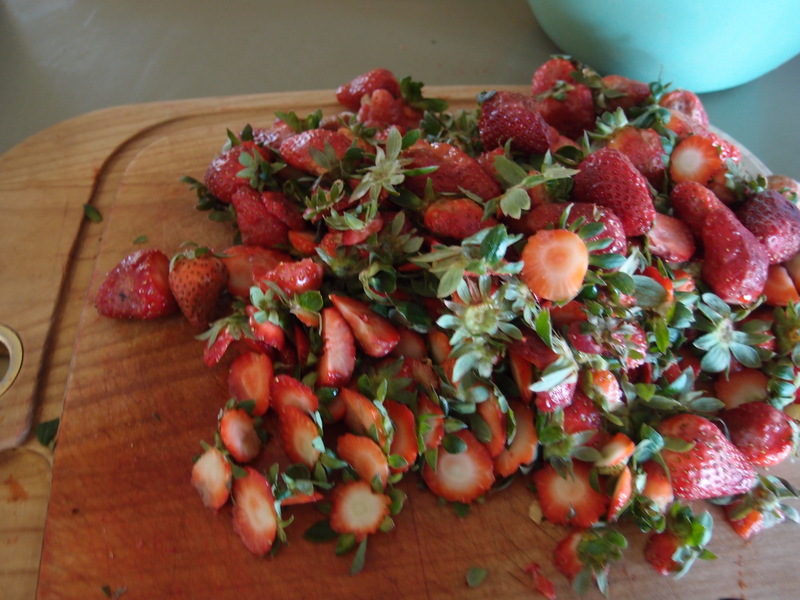 With crates of strawberries selling for a mere $10 this weekend at my local Saturday morning street market, I couldn’t resist and may have gone slightly overboard (if anyone wants a punnet of strawberries let me know) to make one of my all time favourites – strawberry jam. Strawberry jam is very popular with the oldies of Australia and other members of the British Commonwealth and I feel I have a duty to continue the traditions of my countrymen and women, mostly so that I can enjoy the jam myself. If you think about it, making your own jam from scratch sounds quite impressive – it is after all homemade and time consuming you would think. Unfortunately for all the little old ladies out there, I am about to release their secret into the masses – Jam is so easy to make! Of course if you are growing the fruit yourself, yes it may be slightly more time consuming but if you are happy to allow Aussie farmers to provide the fruit for you, all you really need is an hour and a friend for company. Planning does help as you will need your friends and family to save every jar they use, for you, in the months leading up to cooking your jam. This also means you owe them a jar of jam when you are done so make sure you buy enough strawberries to keep them all happy. Cut your fruit into quarters and make sure rotten fruit is discarded – slightly spoiled is okay and sometimes makes the sweetest jam but fury and mossy fruit that is growing its own limbs is not okay. 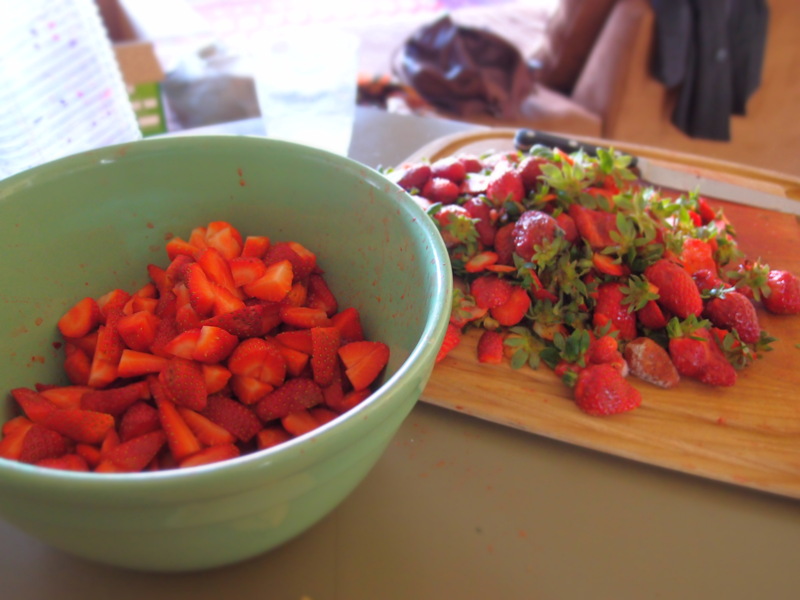 Approximately two kilograms of fruit makes about eight jars so for this amount you will need eight cups of white sugar. Easy you’re done! Seriously though I’m not kidding – we are almost done. Put fruit and sugar into a cooking pot that is tall enough to manage the solid to liquid ratio and add the juice of two lemons and stir over a low to medium heat until the sugar is dissolved. This is where I like to cheat because I don’t like failure or being a loser so stir in a packet of jam setter here if you want to guarantee success. If your jam does not set – call it strawberry coolie and bake a cheesecake to cover up your failed attempt and start again. 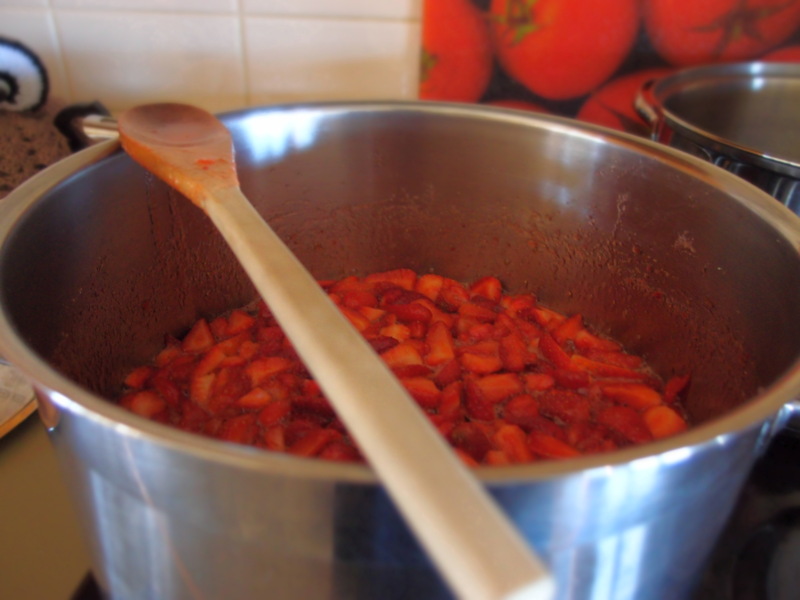 Keep stirring your mixture – I like chunks of fruit in my jam but if you don’t keep stirring until they dissolve. Shh! Jam setter – This will be our little secret. Finally take your jam off the heat and let it rest only slightly. This way you can scoop the acidy frothy stuff (correct name unknown) off the top of the pot so that it does not spread through your jam and ruin it. I like to use a Pyrex jug to poor the jam into the jars and I use a soup ladle to make the transfer. 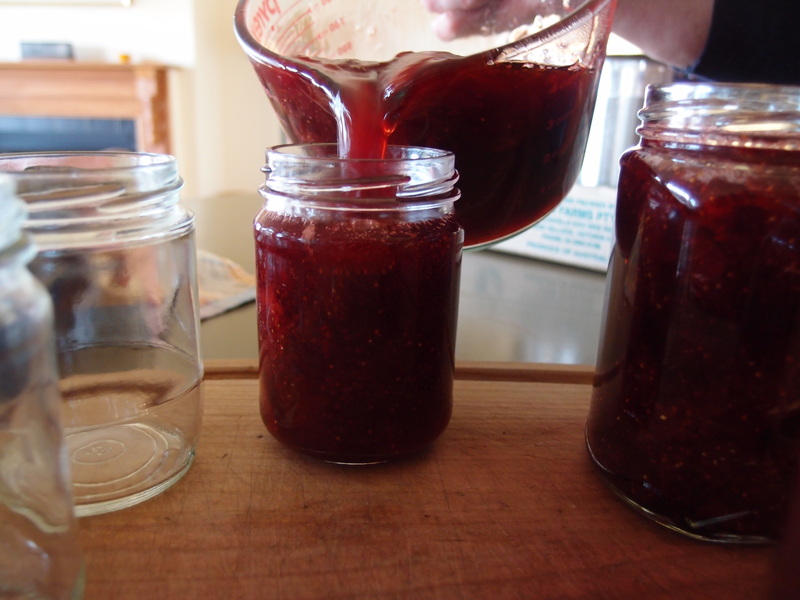 Make sure jars have been prepped accordingly* and pour the hot jam into the jars, putting the lids on loosely and tighten firmly shortly thereafter. Resting the jars overnight ensures jam will set properly, just in time for breakfast. 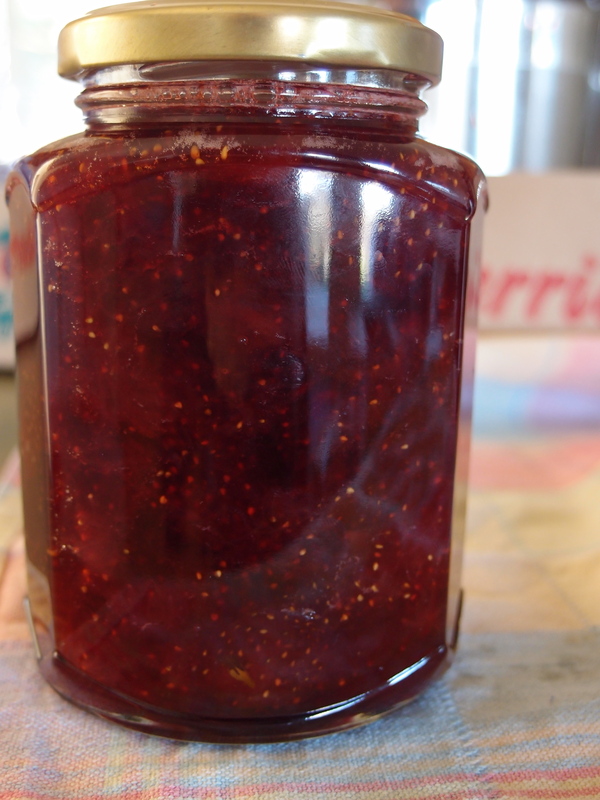 Result: Amazing homemade strawberry jam. *When prepping your jars, give them a good wash in hot water before placing the dry jars top down on a baking tray. Pop into a 180-degree oven for as long as your jam takes to cook. 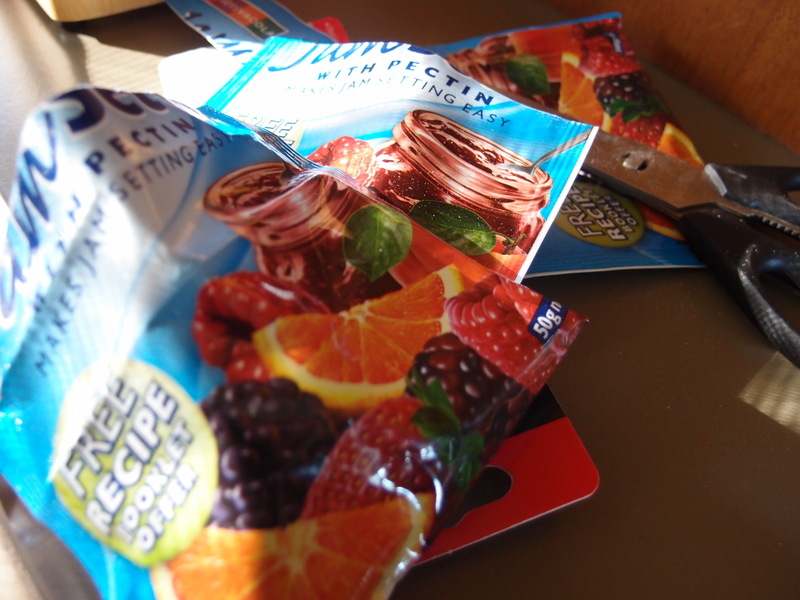 Whilst you are doing this, boil the lids in a saucepan with a little water. This is almost like resetting the lid so that the freshness is sealed into the jar if you chose to store your jam rather than eat it straight away and will have the popping sound affect when you twist open the jar.